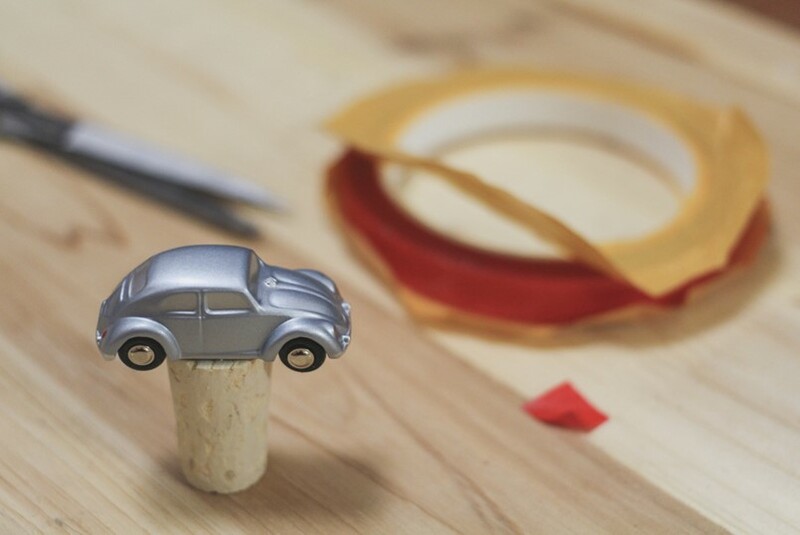 Use strong glue or double-faced adhesive tape to fix the small model car on top of the bottle cork and wait until it has dried. That’s it! 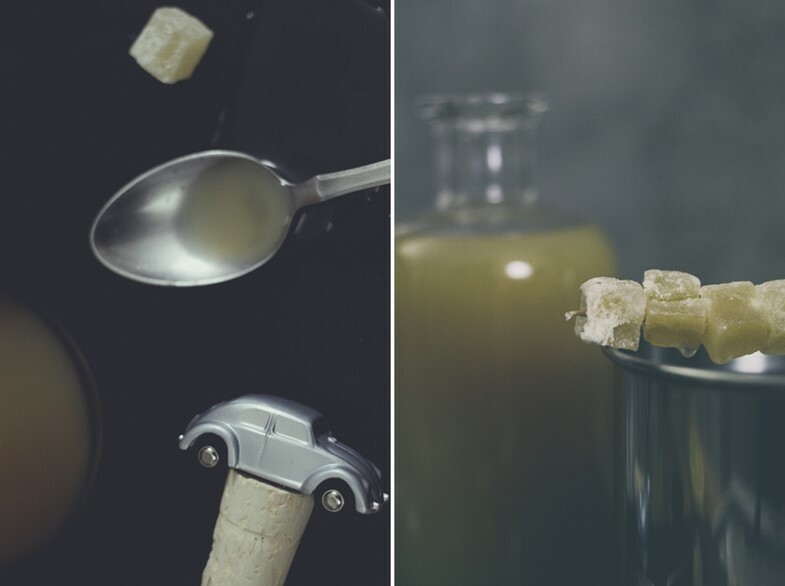 When closing or opening the bottle, take care not to pull on the model car, but on the cork directly. Befestige das kleine Modellauto mit starkem Kleber oder doppelseitigem Klebeband auf der Oberseite des Korkens und lass alles gut trocknen. Das war’s schon! Beim Verschließen oder Öffnen der Flasche etwas vorsichtiger sein und nicht am Modellauto, sondern immer direkt am Korken ziehen. Peel 150g of fresh ginger (organic ginger does not necessarily have to be peeled) and cut into pieces. 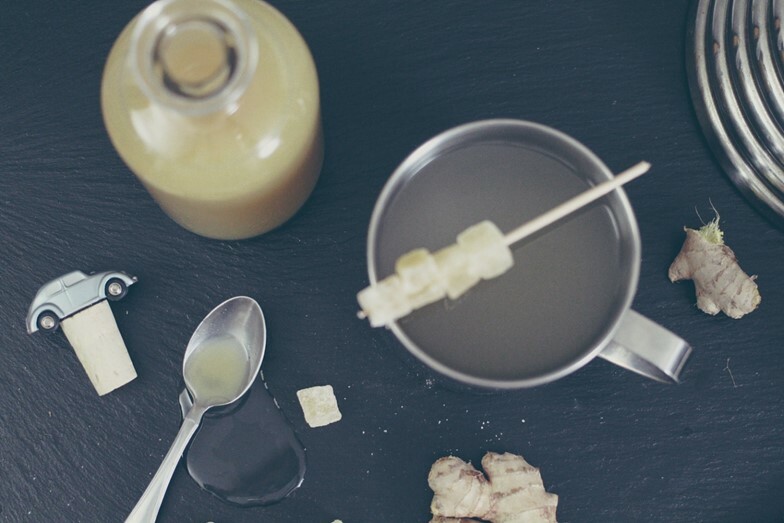 It’s even better to grate the ginger root. Squeeze out an organic lemon and grate zest. Put everything in a sauce pan, add 800 ml of water and stir in 250g of sugar. Let it cook for about 25 minutes then pour through a sieve, you might need to use a blender before. While it’s still hot, fill the syrup into bottles with a screw top. Make sure to fill them to the brim to store them longer. If you want to use it as a gift, you can then fill it into a beautiful bottle with a cork bottle stopper. In such a bottle, it should be consumed soon and stored in the fridge. 150g frischen Ingwer schälen (Bio-Ingwer muss nicht unbedingt geschält werden) und in Stücke schneiden. Ideal ist, die Ingwerwurzel mit einer Reibe in ganz kleine Stücke zu reiben. Eine Bio-Zitrone auspressen und die Schale abreiben. Alles zusammen in einen Topf mit 800 ml Wasser geben und 250g Zucker unterrühren. Den Sud 25 Minuten offen kochen lassen und anschließend durch ein Sieb gießen, evtl. vorher pürieren. 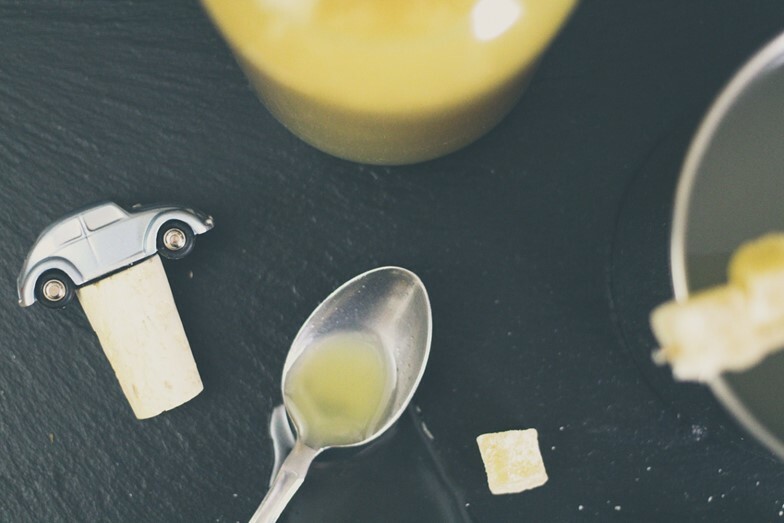 Den Sirup noch kochend heiß in Gläser mit Schraubverschluss bis möglichst direkt unter den Rand füllen, so hält er am längsten. 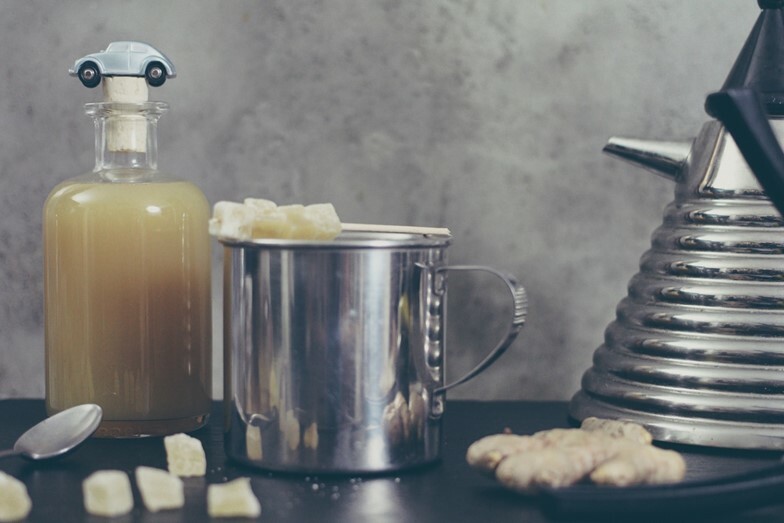 Zum Verschenken kann er dann in eine hübsche Flasche mit Korkverschluss umgefüllt werden, sollte darin jedoch alsbald verbraucht und im Kühlschrank gelagert werden. *This blogpost was written for a cooperation with Volkswagen. 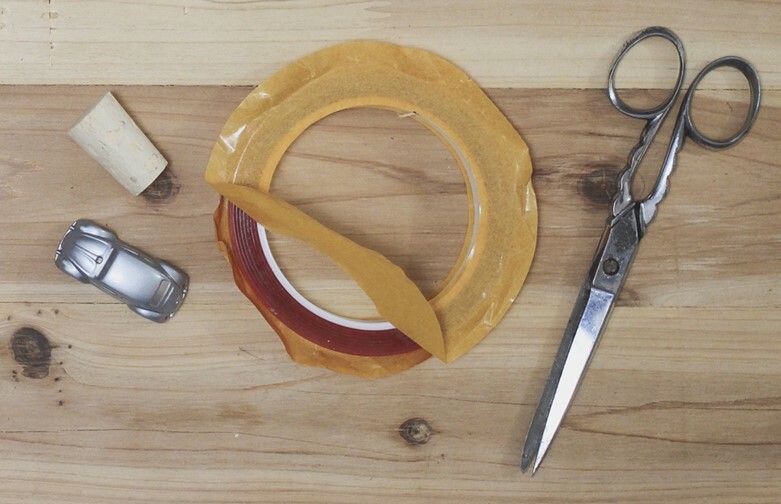 Want more DIY ideas? 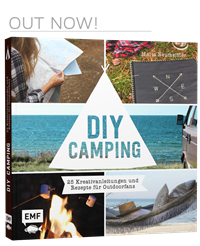 Check out the collaborative Pinterest board „DIY bloggers for Volkswagen“ to find creative ideas from different bloggers about the topics cars & Volkswagen!